There seems to be a growing trend among schools to stage a UFO crash, and then teach students how to react, as well as to “properly” investigate and report on the incident. It sounds like a lot of fun, and a great way to fire up a student’s imagination as well as writing skills. Hell, I wish we would have done a staged UFO crash at my school. What’s interesting is that “police were on hand to show the children how to properly investigate the UFO crash site.” Um, were any of the officers speaking from experience? Are UFO drills becoming something of a routine part of the curriculum in the UK? It’s certainly becoming more and more of a common event. Each time, it’s a joint exercise put in place by the school and local law enforcement. A similar drill took place in Feb of 2009 when Lanchester Endowed Parochial Primary, in County Durham, staged a surprise “crash” behind the school. In Sept 2008 “children from an Edgware school were made to believe aliens had landed in their playground by teachers and police.” Again, each time it was conducted by the school system and police — teaching children what to do in event of a UFO event. Afterward, the kids are asked to write about their experience. 1. 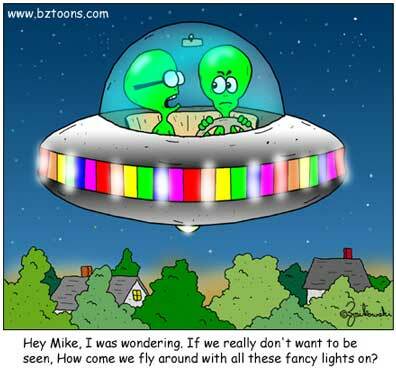 Can we say FAKE ALIEN INVASION by NWO Elites? This has been in planning since the 1700′s. The NWO goons plan to scare us all into wanting to be chipped and demanding a One World Government to keep us all safe. You WILL see ships in the sky, only they won’t belong to ET’s just the military. Open Your Eyes. You belong to no one, you are to be self realized. Take Responsibility for yourself! 2. “Can we say FAKE ALIEN INVASION by NWO Elites?” Absolutely! It is what is referred to as PsyOps. On the surface of things like this it always just appears like a harmless fun exercise to educate children, albeit a little strange and maybe even a bit kookie, but in reality the true motives are always more sinister. It is about conditioning them to the government and military response that they can expect when such elaborate false flags are executed. In principle it is no different than how they condition children to react at school to a fire or other emergency drills. Only these kinds of UFO or terrorism drills don’t have any intentions of helping to control chaos, but rather they are about controlling minds. At my nephew's school in the United States they did a drill where the school had been the victim of a bomb by a shadowy group of domestic terrorists. Some students and teachers played the part of casualties while the rest played the part of the panicked victims. On the surface it was supposed to be a generic drill about disaster preparedness, about treating injuries, staying calm and working with emergency personnel to get prompt help to those who needed it. Once you dug deeper though, it became quite apparent that it indeed was another PsyOps which the real purpose was to condition the students how to react towards people who are deemed “undesirables” according to the growing power structure of the federal government DHS. They made sure to emphasize in this drill that the terrorists were right wing “extremists” who hated the government and who were constitutionalist “fanatics”. 3. Surely this is not normal? What is going on that we do not know about? Something tells me the wait is soon over! I’ve got my Bacofoil at the ready, what kind of turkeys do they think we are. Is anyone going to actually fall for this stunt, if and when it happens. If they are really going to start projecting images off the ionosphere to make us believe all sorts of rubbish, then they really need their heads looking at. The Americans might fall for it, but then most Americans don’t take much convincing about anything really. I’m going to stay up all night waiting for it. 6. www.disclosureproject.org. The Vatican has openly expressed lately that belief in extra-terrestrials in not absurd – in truth, that “they” are our brothers. Many government officials with ts/sci clearances have come forward and explained why this extra-terretrial intervention is being hidden from the general populous – the technologies behind the et crafts would immeadiately make fossil fuels obselete…. 7. The Globalists are not trying to stage a fake alien invasion. They are trying to set things up and program the masses to react a certain way when the real Et’s do show up for the Evacuation, because of issues with our sun..something George Adamski talked about in the ’60′s. People in power are addicts and will do whatever it takes to stay in power. Having ET’s come and shake things up, even if they are benevolent, is garlic and wooden stakes to the elite. It’s to much to get into in some little comment section for some tiny story on the net, but suffice to say the ET’s are not the Enemy…people on this planet addicted to money and power ARE the enemy however.